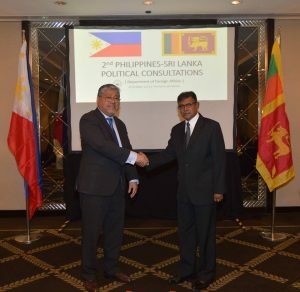 Sri Lanka and the Philippines successfully convened their 2nd Political Consultations in Manila. 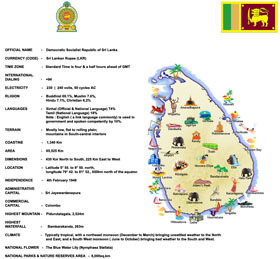 The meeting, co-chaired by Mr. Sumith Nakandala, Additional Secretary of the Ministry of Foreign Affairs of Sri Lanka and Hon. Enrique A. Manalo, Undersecretary for Policy of the Department of Foreign Affairs (DFA) of Philippines,discussed ways to deepen and broaden Philippines-Sri Lanka relations in the areas of trade and investment, defense, education, tourism, labour migration, agriculture, and mutual legal assistance.